When you think of an inheritance, do you picture money or a headache? Probably money, I assume. Unfortunately, for digital marketing agencies, taking on a new client often means inheriting an AdWords account. More than likely, the account is a mess – it has poor structure, expensive keywords and few negative keywords. There seems to be an assumption that PPC is an after-thought or a courtesy offering. Most agencies we talk to provide stellar customer service and value client relationships. They’re accustomed to meeting their clients’ needs whatever it takes. However, you need a business plan for this to make business sense. Among the most common reasons for agencies not to pursue a robust PPC offering and truly become full-service is that they don’t see dividends. I know this because I have this conversation about twice per week. Your competitors who offer AdWords management services already have it figured out. With the right tools and the right revenue strategy, PPC can be your fastest and easiest offering. As for the revenue strategy, read on to get my best tips for adding PPC to your agency’s service offerings. This might sound like common sense, but I have this conversation about three to four times per week. Since many agencies don’t even list PPC or SEM on their own websites, they take over a few accounts and just bill for the hours worked along with their other services. This is very bad…. Your business plan likely works off some function of set-up fees and billable hours. Is that accurate? Website development and SEO campaigns are time-intensive. Thus, billable hours makes a lot of sense. When digital marketers reach out to our team, they’re usually in the building stage of the SEM campaign and assume that billable hours works for their other services, so why not PPC? The problem is that when you use a PPC management software solution, like ours, you can get fantastic results for your client in terms of conversions and ROI while literally only spending about 20 minutes per week in each account. Over the long term, billable hours will be a loss for your agency when you consider the tremendous value that you will bring to your client. Perhaps the most effective way to charge for PPC management is a percentage of spend. Most typically, I hear agencies charging about 10-20% of AdWords spend (I’ve heard as high as 25%). This is fair for you and the client. The larger the account, the more conversions (hopefully) your client will get. Since you’re adding more value to the client, the percentage-of-spend model fairly compensates you while ensuring good ROI for your client. This is not an either/or. You can charge a percentage of spend and a flat fee. In particular, if you’re building up the account or making structural changes beyond weekly maintenance, a management fee is appropriate. Again, with the right tool, you won’t be doing much of this after you take on a new account. Are you starting to see why this is such an easy revenue stream? Many companies outsource. Many companies talk to us about software and decide they’d rather outsource their profits than grow their business. This is the worst possible solution. More than likely, the agency you’re handing the PPC account to is using some kind of PPC management software. Now, you’re paying another agency and passing that cost onto your client. Essentially, you’re putting a middle-man between you and profitability. Also, how do you know what results they’ll get for your client? Do you enjoy the overhead involved in hiring a new employee? Add up the costs of salary, health insurance, paid-time off, 401(k), etc. That’s before we get to the time costs of training them. 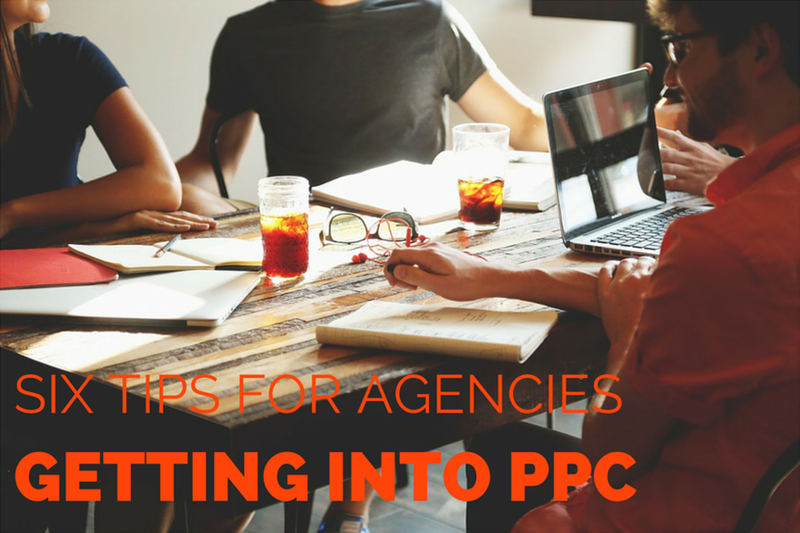 With all this overhead, you might as well pass on PPC altogether. Software is cheaper and can make you more efficient so you don’t have to add another head to your team. I’d like to end on a philosophical note: The greatest risk is the one we never take. This is true of agencies that don’t vigorously pursue PPC as a revenue stream. Of course, some risks are just foolish. It all depends on how well you prepare for your journey. Dave Rocco serves on a team specialized in helping marketing/PR/advertising agencies more effectively manage PPC. His goal for most agencies is reducing the time they spend on each AdWords account so they can grow their business. He’s from New Hampshire but hates the cold and loves the French language.